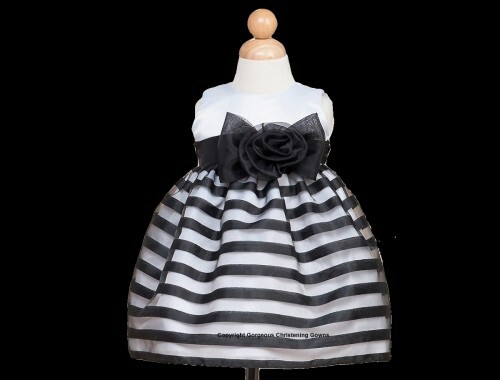 This beautiful black & white dress for a baby girl is certainly great for a christening, naming ceremony or any special occasion. This dress features a sleeveless bodice in white satin & a striped black & white tulle skirt. 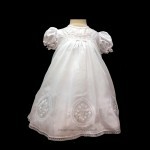 The waist is highlighted with an adorable flower the center finishing with tie back sash.